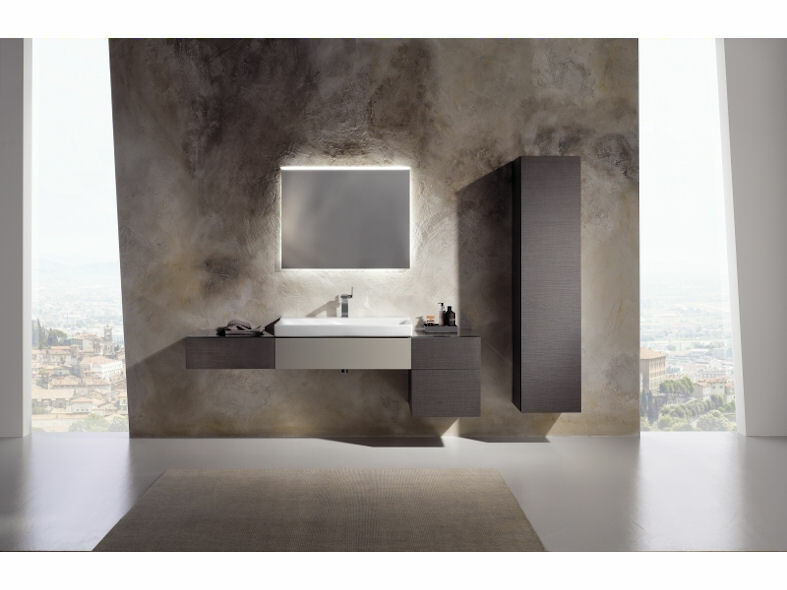 Keramag Design offers luxury with every range. 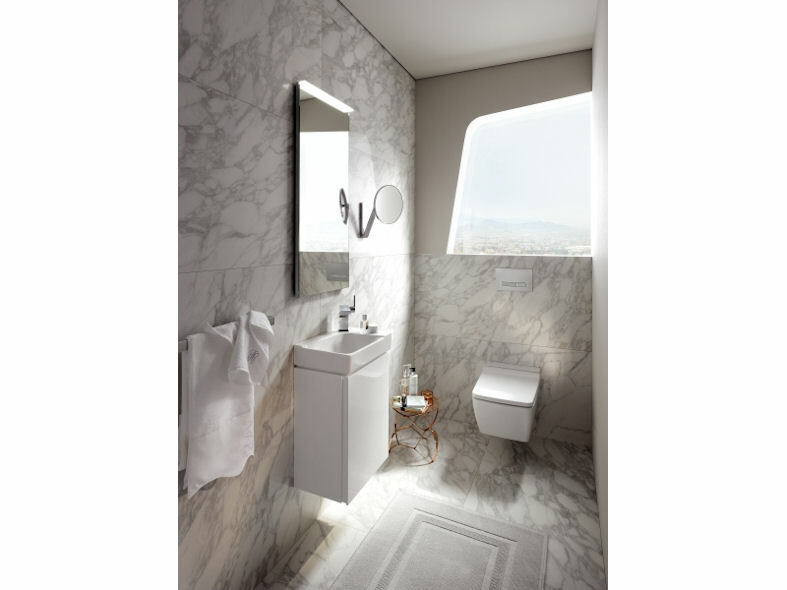 The Xeno² collection offers a perfect combination of washbasins, hand rinse basin, a wall-hung Rimfree® toilets, bidet, mirrors, and linear bathroom furniture with ultra-smooth surfaces, push-to-open operation and integrated LED lighting. Designed by world famous Italian architect Antonio Citterio, the collection for Keramag Design harmonises crisp geometric contours and organic shapes in one. The luxurious modular furniture elegantly combines materials, being available in oak natural beige with a taupe glass front or in oak grey brown woodgrain with black glass fronts. 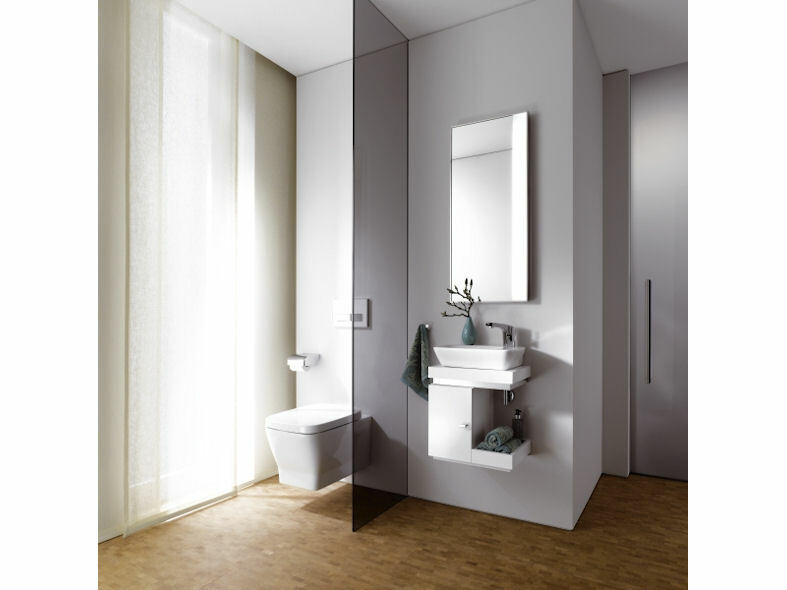 The furniture complements the gentle curves of the inner washbasins and features compartmentalised storage as standard. 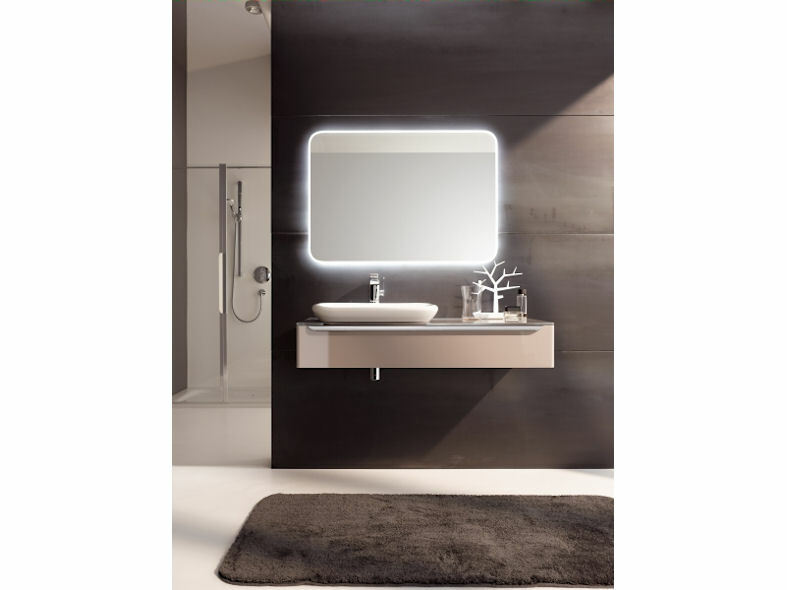 The frames of the stylish illuminated mirrors match the vanity units to emphasise the crisp geometry of the furniture. Tall cabinets are available with glass fronts or open shelving, in addition to wall-hung and back-to-wall toilets and bidet which complete the sense of luxury. Designed by Cornelia Thies, MyDay centres on a natural and relaxed aesthetic characterised by large radii and flowing shapes. Washbasins are available in a variety of single, double and handrinse basin options, with the patented Clou waste and overflow system or with gravity-fed drains. 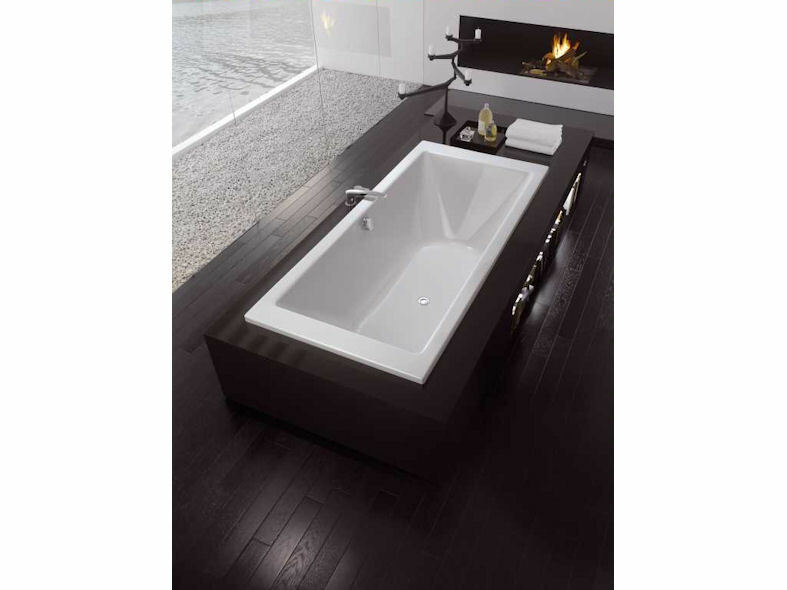 A large bathtub with a streamlined design is typical of this series, while furnitureelements are fitted with soft-close mechanisms as standard and is available in four colours. 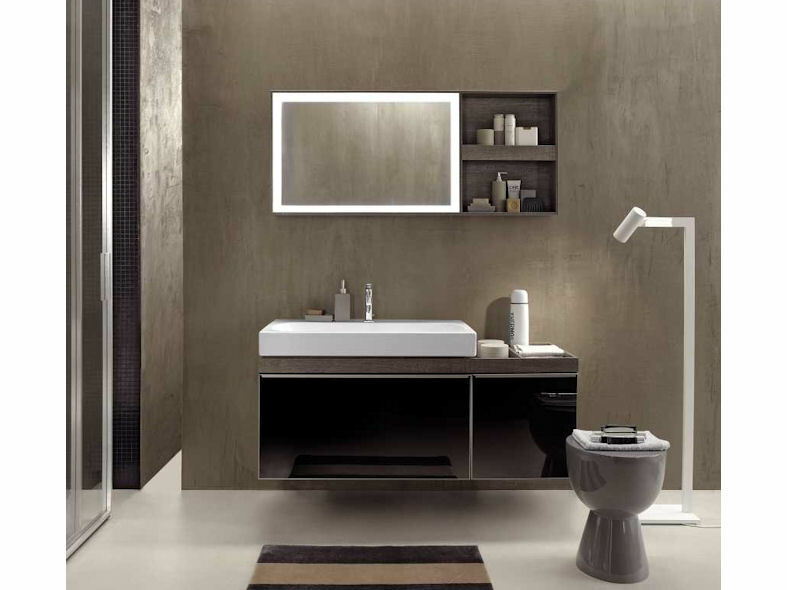 To maximise on storage space in the bathroom, MyDay includes a bag to store different things on the doors of a tall cabinet and various shelving options. Designed by Michael Schmidt, Silk by Keramag Design combines elegance, precision detail and design flexibility. 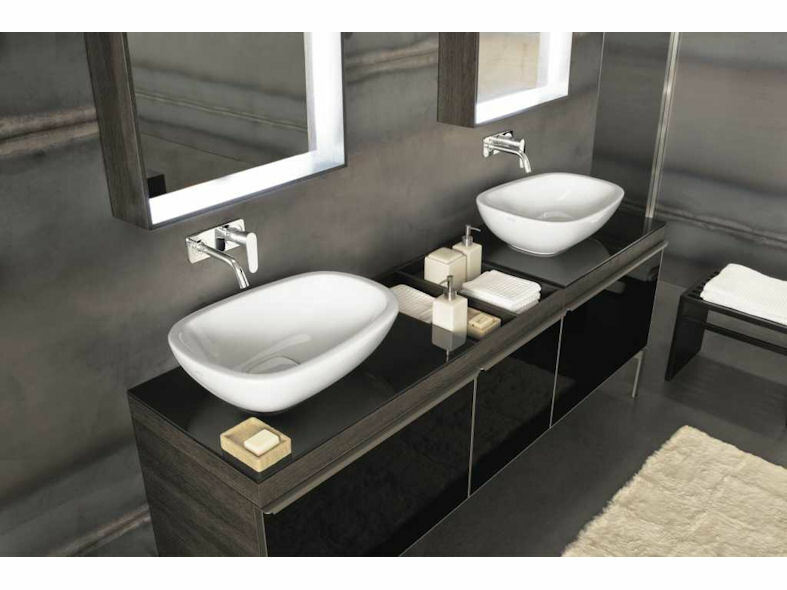 The basins can be combined with washbasin plates available in five sizes to offer a wide choice of layout combinations, while also creating extra shelf space for toiletries. Silk furniture is available in high quality real wood veneers of oak and Wenge Pangar, or high gloss white.